Today I am joining several other DIY bloggers in the new monthly Junk Revision Challenge. Each month we are given a theme to work with. Then we try to find an item to salvage from the trash or a thrift store and re-purpose it to fit that theme. 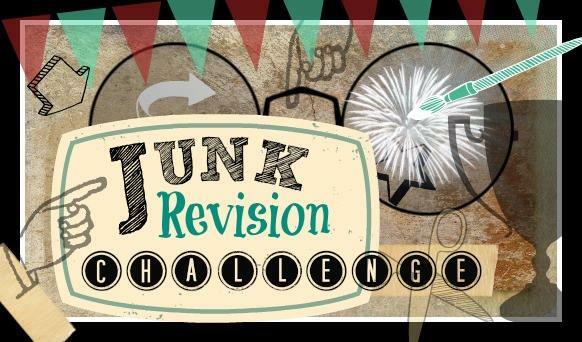 On the first Monday of each month each of us will share our item in the Junk Revision Challenge post on each of our blogs. This month's challenge was "an outdoor project". I decided to make a welcome sign to hang at our front entry. 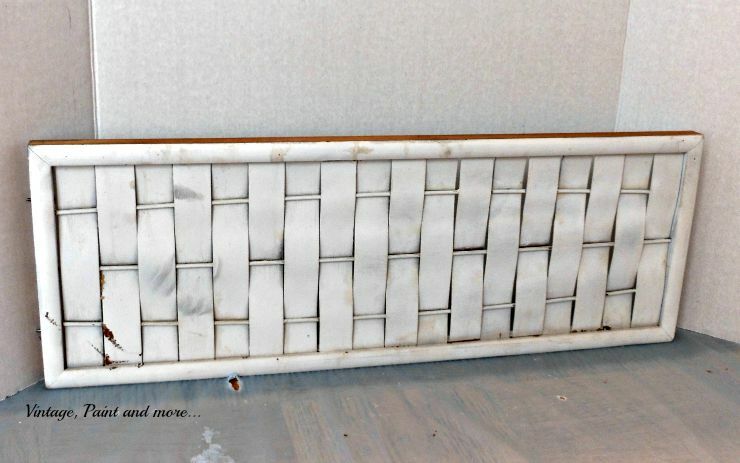 I chose a piece of woven lattice that we had removed from an end table we bought at a thrift store to refinish. As you can see it needed a bit of TLC as did the table. I have been wanting a welcome sign for our front entry area and this piece was just the right size for what I wanted. I thought the woven lattice design would add a little texture and interest to the sign itself. After scouring through my stash I found some little wooden letters and some metal trim I had bought at Michael's at the beginning of the summer. I didn't know what I was going to do with the trim but it looked interesting and I knew I would find something to use it on. I am so glad I had it now. Basically, I cleaned the lattice piece well and then painted it with some white DIY chalk paint. 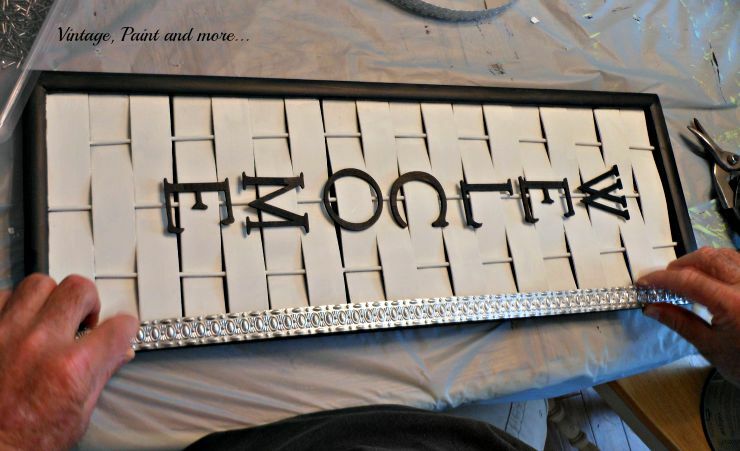 I painted the edge of the frame and the letters with black chalkboard paint. Then with Papa's help we put the metal trim on the outer edge of the sign. It took all four of our hands to accomplish this little task. Not hard just a little unwieldy. When we finished that step I took the black chalkboard paint and "antiqued" the metal trim. First I brushed the paint on the trim (#1 above), then I wiped it off with a soft dry cloth (#2 above). This left enough of the black in the crevices that it looked like years of exposure had collected on it. 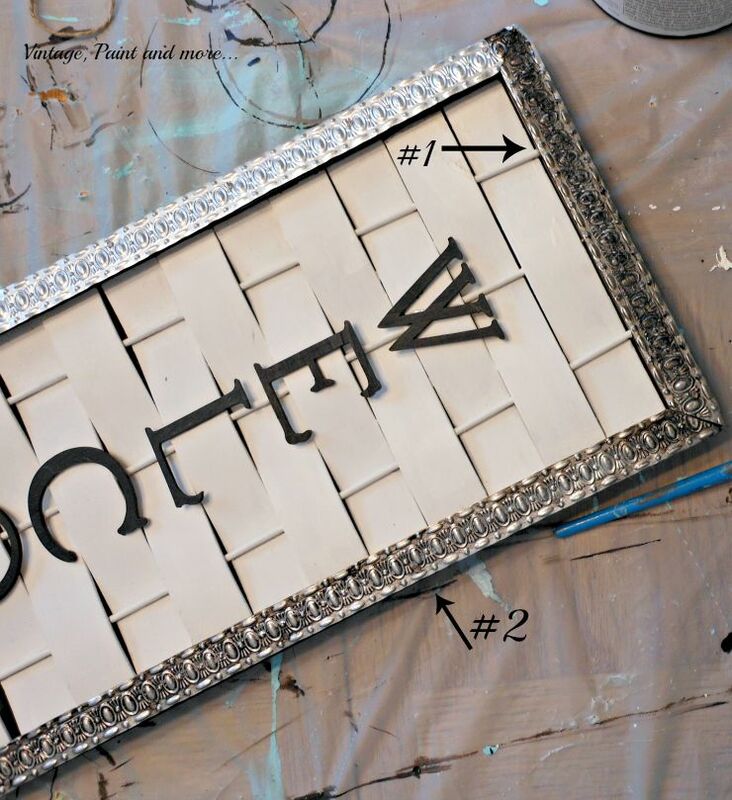 You can add as much or as little antiquing as you like by adding the paint and wiping it off in stages. We hung it on the outside wall near our front door in the entry area so it greets guests as they arrive. Our door and shutters are also black and we have white trim on our yellow house - so it matches perfectly. I love the challenge this group gives me each month - so much fun to see what I can do to turn a piece of "trash" into a "treasure" I love. Be sure and visit each of the links below and see what everyone else was able to do with their piece of "trash". I think you will be inspired by all the creativeness found here that you'll want to create your own treasure. And don't forget to come back next month when we are challenged to create a desktop/office project. I know there are going to be some awesome entries in that challenge also. I will be linking up to the parties listed on the Where I Party page. Please visit them and check out all the wonderful inspiration and creativeness found at each one. Cathy ... This is great love the woven look with the metal trim and how you aged it... perfect Welcme sign! Great way to create a really fun welcome sign :) Love the textures! I love Welcome signs. It just makes your home so much more inviting. Great project. That's a beautiful welcome sign!! This is just too cute! I love it! Now I need to find a metal piece just like it so I can make one. I am so impressed with how you took one piece from an end table and made it into something completely different and much more fabulous! So creative and innovative! 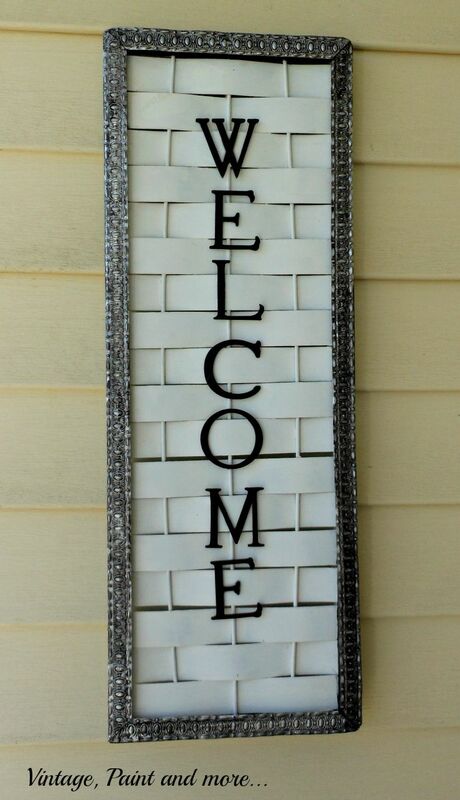 I would love a welcome sign for the front porch too. Thank you for the inspiration! Your sign looks great against the yellow trim and above your gorgeous planter.Great repurpose! So glad to have you in the group Cathy! I love what you did to make it a fun sign! It looks great! That looks so good, you two did a great job! That is so creative! I am not an "out-of-the-box" thinker, so I love seeing the repurposed things everyone comes up with. Great job! Cathy - You did a great job making your new welcome sign! It looks so cute and I love the trim! Thanks for sharing! Wow! Cathy, I Love it! I'll be featuring your beautiful Welcome sign at the next Brag About It link party! Thank you for linking up with us and hope you will join us again next week. Party starts Mondays at midnight! This is so cute and creative! I just love it! Love how this turned out!! Thanks for linking up to Friday Favorites! This is so cute!! I would love to find one of these to make for my porch. Thanks for the great tutorial! What a great use of the material you had. It looks great. Thanks for sharing on Snickerdoodle Sunday! Pinned and tweeted! I love projects that repurpose things into something new. What a fun challenge and can't wait to see what you create for your desk project. 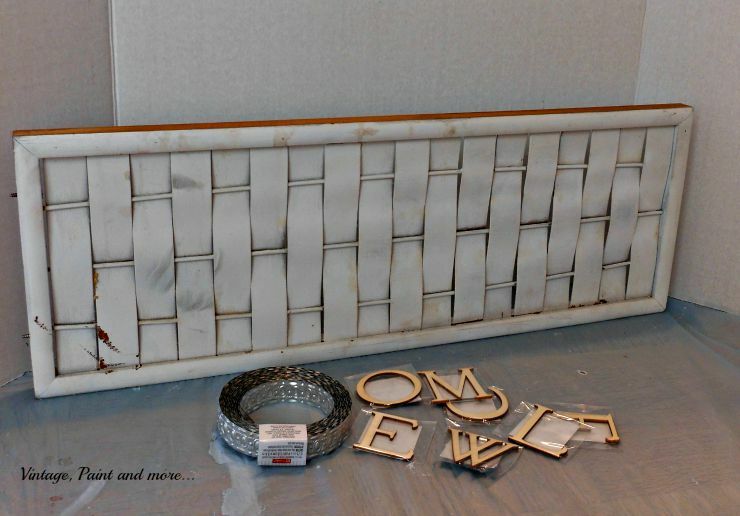 Cute idea to use the lattice Cathy and I love the metal trim! Thanks for sharing with SYC. I like the texture of that sign. Nice! Thank you for sharing at Home Sweet Home! Love this!! Featured at this week's What to do Weekends! Thank you so much for sharing with us at What to do Weekends! Looks great as a welcome sign! Thanks for sharing at the Submarine Sunday Link Party!